Halloween dominates western headlines this week, but it’s not the only event looming at the end of October. In fact, while Halloween as North Americans know it — trick-or-treating, costumes, horror-themed foods — is spreading worldwide, these traditional, unique, or even ancient events take place over the same days in many cases. What is it about October 31st, anyway? Samhain is believed to be the origins of Halloween and marks the Celtic/Gaelic/Pagan new year. It is celebrated in Ireland and Scotland, but is also celebrated in New England and places with Irish-Celtic heritage, as well as by practicing Wiccans and Pagans anywhere. 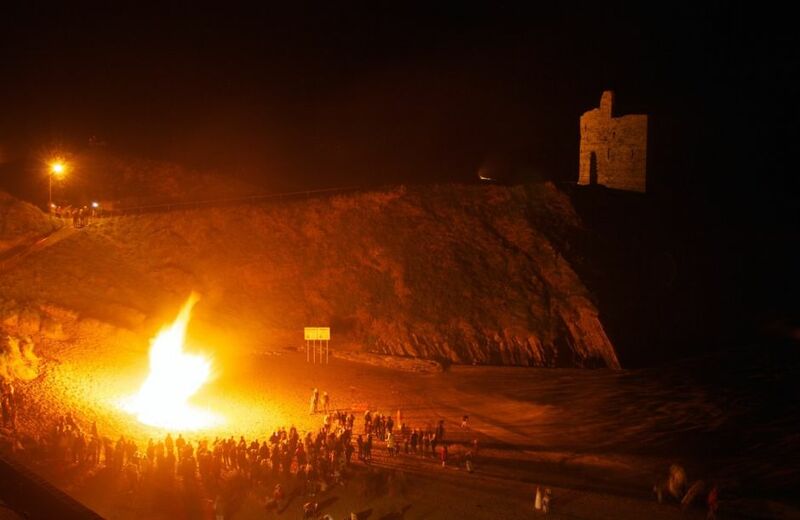 Bonfires (protective and ceremonial), meals (including, in some places, "Dumb Dinner" which is eaten in silence with a plate of food left out for the dead), and talking with the dead are all part of the tradition. 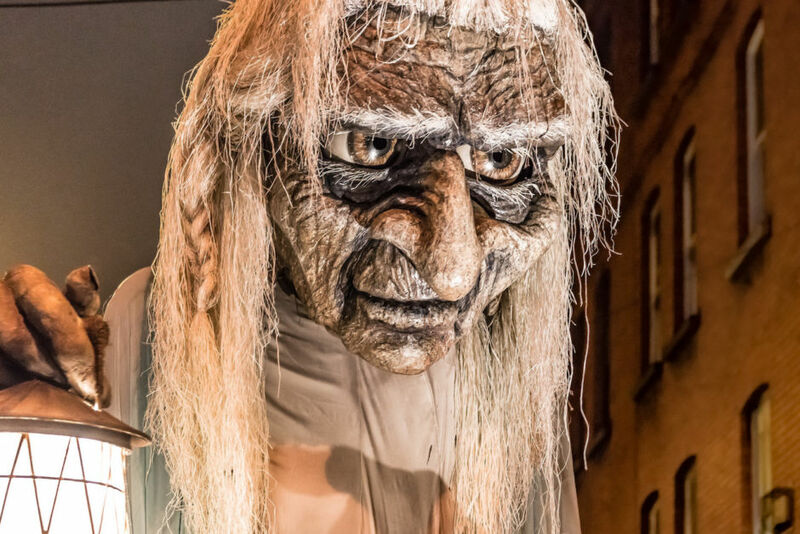 The Spirits of Meath festival takes place in County Meath, Ireland, where Halloween "began." Ancient peoples would get together on the eve of Samhain, the Celtic new year's eve, and believed spirits had this day to revisit Earth. This happens to coincide with the harvest, and spiritually is considered a time when the "veil" between living and dead is quite thin. Spirits of Meath is the name of the modern festival, with events held all month long. Celebrated anywhere with Catholic roots, usually on November 1st. In the Catholic tradition, this day is to celebrate and remember those who have gone to heaven. 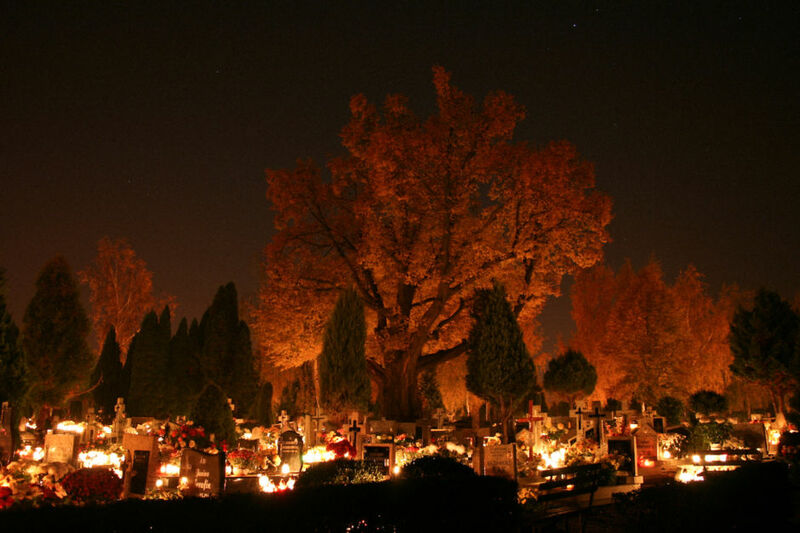 In places like Poland (as seen here), and Croatia, graveyards are filled to the brim with flickering red and orange candle votives as families pay their respect. In Chile, it's called El Día de Todos Los Santos, and participants place flowers on adult graves and balloons or teddy bears on children's graves. 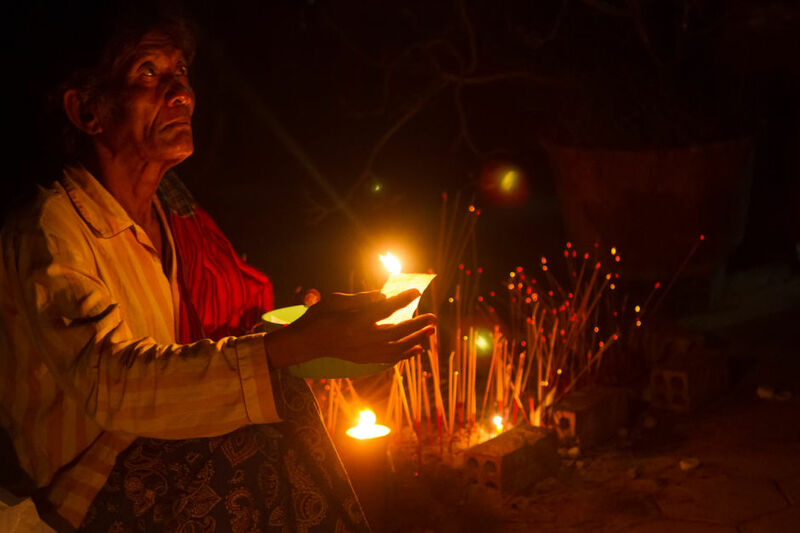 In the Philippines, families may spend the entire night (or even two) at ancestors' graves, singing, playing games, and leaving offerings. This event is found across Europe and in Christian or Catholic communities. 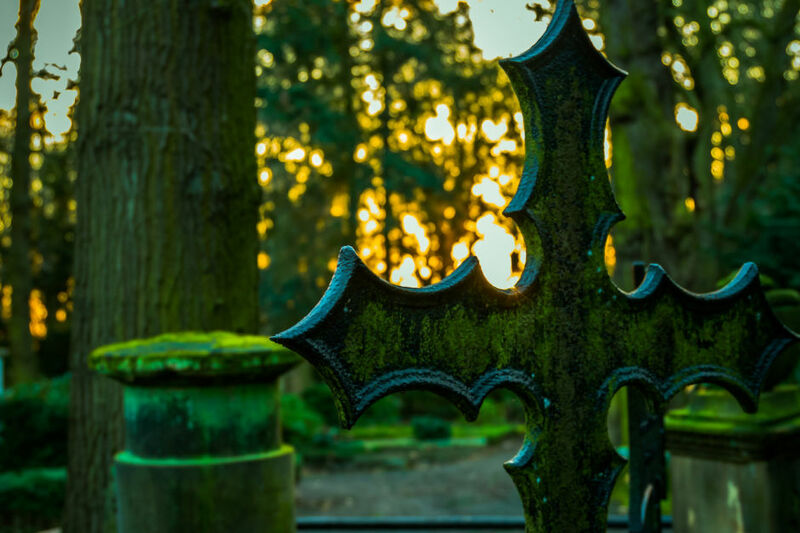 It traditionally honors the souls of the dearly departed who may be stuck in purgatory. You might go and visit their graves, or say prayers in your home for them. In Germany, some hide knives on this day to prevent returning spirits from attacking them. This holiday is also celebrated in parts of India, called Almacho Dis (Souls' Day) where ancestors are celebrated through charity. In Belarus and other Slavic countries, Dziady is celebrated: an ancient Slavic tradition of having a feast to honor dead ancestors. This generally takes place on November 2nd. 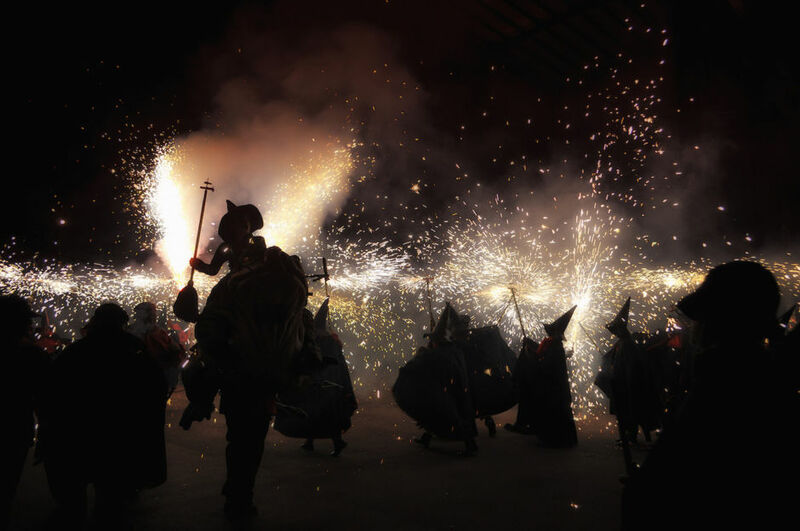 The fair of the witch is celebrated in Catalan, Spain, and remembers the persecution of witches during the Inquisition. The event is held in Sant Feliu Sasserra where, in the 17th Century, 23 women were tried - and possibly tortured into confessing - for being witches and put to death by hanging. The Fes-Ta Bruixas (the witch party) takes place on October 31st, while the main event - Fira de las Bruixes (the witch's fair) - is all day long on November 1st with public sessions all day to learn about witchcraft, meet real modern-day witches, and re-enact the awful events that took place 400 years ago in this very town. Clearly a newer event, this parade and festival to celebrate Ireland's iconic horror writer, Bram Stoker, takes places over four days in Dublin. Think vampires, death, theatre, and our darker sides. The day of ancestors in Cambodia is a fifteen-day celebration. It is when families pay respects to, unsurprisingly, their ancestors. Monks chant all night long - without stopping or sleeping - preparing for when the gates to hell will open up. When the gates open (the exact day changes each year), ghosts are expected and active. To calm them, food is offered. The event often falls in October or September. 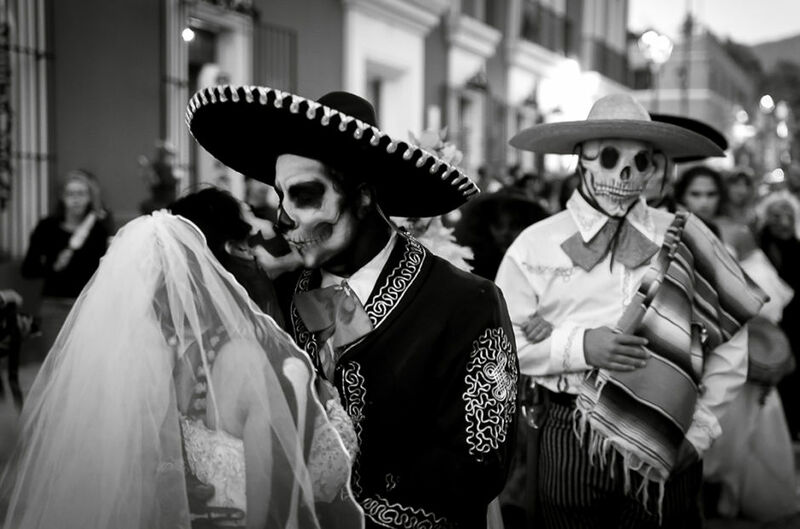 The famous Day of the Dead in Mexico draws visitors from all over. Very connected to All Saints Day, Day of the Dead celebrates life while honoring one's ancestors. In the culture you don't necessarily have to fear one and embrace the other; the two are intertwined. Death makes us grateful for life, and it is not something to be feared. At midnight on October 31st, the gates of heaven open and spirits of children are allowed to reunite with their families for 24 hours. After, the spirits of adults can join in on the fun, too. Families make altars for their visiting ghosts, with food and drink as offerings, or they may visit the graves and leave offerings there. The symbol of this holiday is the skull or Calavera, used to overcome the fear of death and celebrate life. Similarly, Dia de los ñatitas (Day of the Skulls) is celebrated in Bolivia, where family members celebrate the skulls of their deceased family, keeping them in the home, decorating them, crowning with fresh flowers, and leaving offerings.